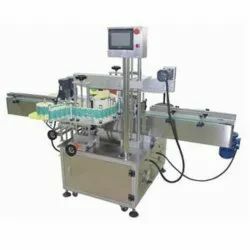 Our range of products include labelling machine, bopp labeling machine, bottle labeling machine and sticker labeling machine. We are devotedly engaged in providing our clients a precisely designed assortment of Labeling Machine. This labeling machine is provided in numerous stipulations accordingly with client's needs. 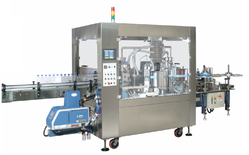 Offered labeling machine is developed by quality material keeping in mind the quality norms. Our labeling machine is demanded among our customers for its flawless finish. We bring forth for our clients a precision engineered range of Automatic Hot-Melt Labeling Machine. Used for packaging products in shrink bags, this labeling machine is provided in numerous stipulations accordingly with client's needs. 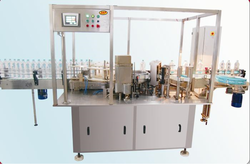 Offered labeling machine is developed by quality material keeping in mind the quality norms. Our labeling machine is demanded among our customers for its flawless finish. 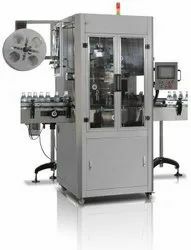 The Automatic Vertical Bottle Labeling Machine is one of the most user-friendly. The machine is used for full/partial wrap around labeling on different size of round container. It is capable of labeling up to 150 containers per minutes depending on products and label size. The Automatic Vertical Sticker Labeling Machine is one of the most user-friendly. The machine is used for full/partial wrap around labeling on different size of round container. It is capable of labeling up to 150 containers per minutes depending on products and label size.